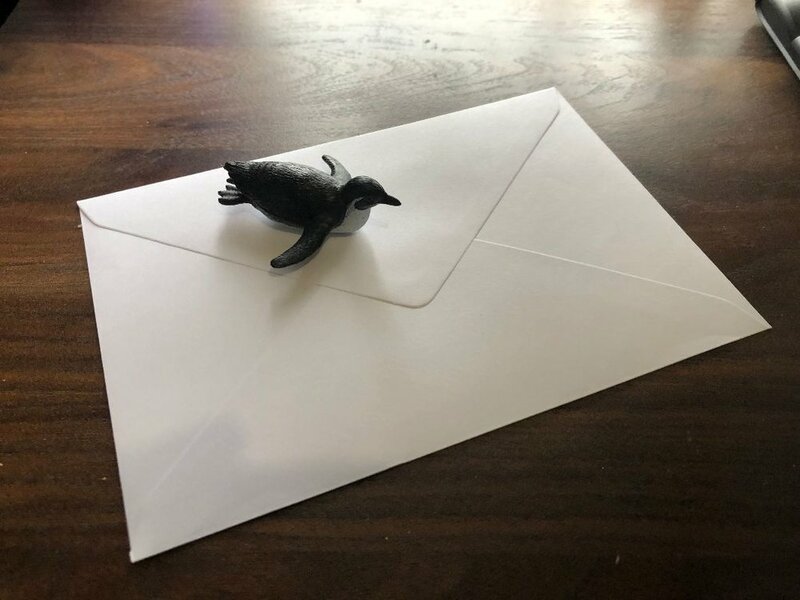 Image description: A small plastic penguin lying on its belly on top of a standard postal envelope, both resting on a dark wooden surface. This is a short post, for the folks who are reading my blog but not my social media. The day has finally come: I have an author newsletter! If you want my writing news, updates on appearances, and/or my thoughts on the writing process, mental health check-ins, and a quarterly recipe, you can sign up here. I am very much New At This, so if you see anything off about the emails, please just let me know.